The deformed Spider-Man measures 21.5cm high by 14.5cm wide and weighs 680g. Undoubtedly he is one of the most adorable superhero, but his pudgy body seriously limit his super abilities so don’t expect him to defeat Dr. Octopus, Venom and other enemies. Fortunately, the only mission of the chattery superhero is to accompany you or your kids. The Spider-Man features almost all details and colors from original Spider-Man except his slim body. The goggles of his mask features two LCD screens in order to express different moods. 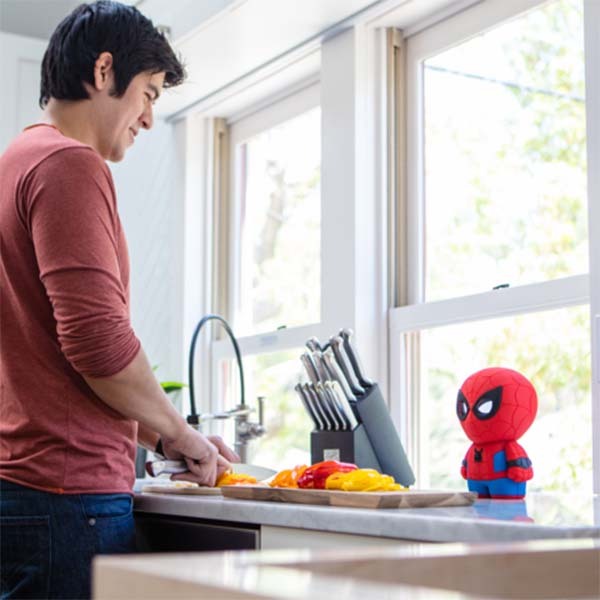 Using built-in motion sensor the Spider-Man toy also detects people passing by and react to them with his wisecracks. A built-in microphone always makes him interact with your speech, so you can ask the superhero for telling jokes, stories or games. His WiFi capabilities allow him to receive content updates including new games, stories, jokes and more. Moreover, the superhero comes with a web charging base, and a full charge offers over 2 hours of play. 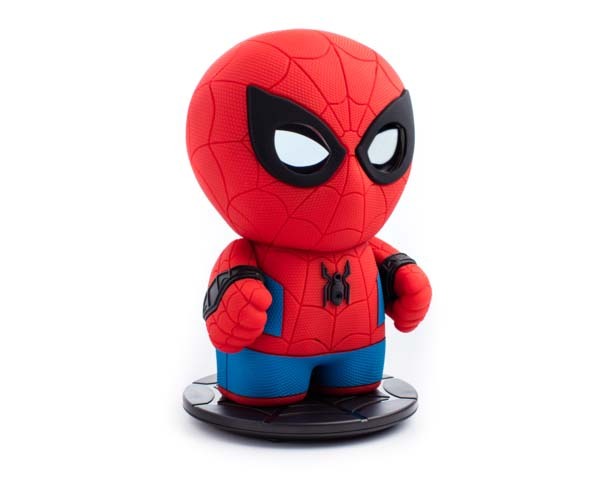 The app-enabled Spider-Man toy has been available for $149.99 USD. If you’re interested, jump to Amazon for its more details.